Are self-criticism and depression related? A growing number of recent studies investigating the relationship between depression and self-criticism are pointing to a strong causal link between the two. In today’s society, self-criticism is sometimes equated with the ability to be introspective and objective about one’s flaws and weaknesses, and as such is often regarded as a valuable trait to possess. 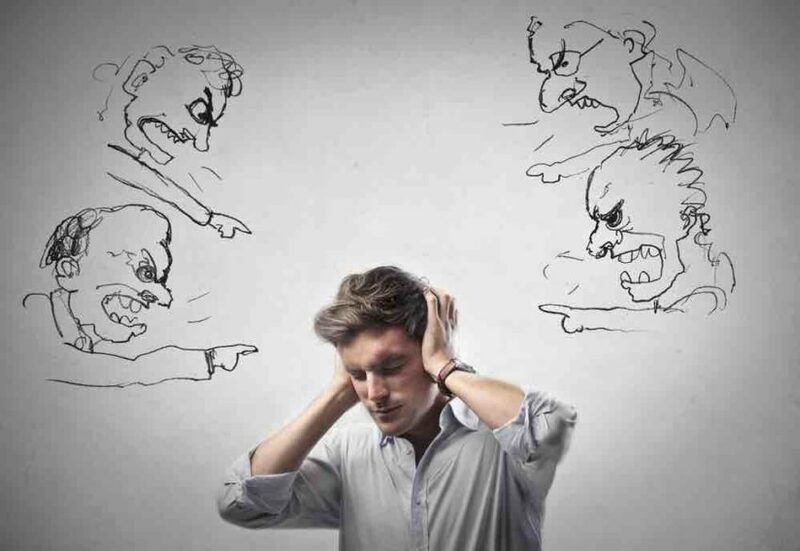 However, according to psychology, self-criticism is a negative personality trait, one in which a person harshly evaluates, compares and judges themselves and their actions, resulting in a skewed and disrupted self-identity. Somewhere along the line, many of us developed the mistaken belief that if we’re especially hard on ourselves, we’ll become better people. And so we chastise, berate, bash and belittle ourselves, believing this will somehow motivate us into action and positive change. Neuroscience is now suggesting that this type of negative self-talk actually does the opposite of what we intend. Instead of motivating us, self-criticism creates a brain state that causes us to disengage, and that leaves us feeling fearful, demoralized, and trapped. Sounds an awful lot like the symptoms of depression. A 2012 study by Lerman, Shahar, & Rudich looked at depression in chronic pain patients, and identified the depressed individuals as being intensely self-critical. Another study of graduate students with a history of major depression found a more direct causal link between the negative effects of self-criticism and depression, suggesting that self-critical thinking put individuals at higher risk of depressive episodes. A third, combined series of research efforts (Campos, Besser, & Blatt, 2010; Ehret, Joorman, & Berking, 2015; Joeng & Turner, 2015) clearly name the tendency towards self-criticism to be a significant risk factor for developing depression. Where self-criticism increases an individual’s risk for depression, self-compassion appears to be the antidote. Self-compassion is the extension of compassion – kindness, understanding, empathy, and a desire to alleviate suffering – towards one’s self. It is being warm and accepting towards oneself, particularly in instances of perceived inadequacy, failure, and pain. In light of these and other emerging studies, one of the most powerful things we can do in the fight against depression is to first become aware of the voice of our inner critic, and then practice replacing it with the voice of compassion. Each time we identify, observe and respond compassionately to the harsh voice of the inner critic, it loses a little more of its power over our feelings and beliefs about ourselves. We begin to realize how destructive and disempowering this voice is when we are able to distance ourselves from it. To externalize and therefore break the spell of the negative inner voice, try repeating the critical thoughts, either out loud or on paper, but doing so as if someone else is talking to you. For example, if you hear the words “I’m such a fat loser. No one will ever love me like this”, try reciting or writing “You are such a fat loser. No one will ever love you like this”. Suddenly, that voice doesn’t sound quite so objective or truthful anymore, does it? This exercise helps you gain some much needed perspective and distance from the voice. Make it positive and encouraging, but reasonable and believable so that you don’t give your inner critic a reason to jump all over you again. It’s also helpful to remember that our inner critic is not the enemy (though it may at times seem that way). It is simply an outdated and unnecessarily harsh protector, trying to keep us from things that we fear. It doesn’t tell us the truth about ourselves or what we are capable of. And equally important to remember is that self-compassion doesn’t mean being soft, giving up, or not taking responsibility for what’s happening in our lives. It’s about being supportive, kind and encouraging in the face of our very human faults and weaknesses. Is Self-Criticism Self-Indulgent or Self-Absorbed? Is Self-Criticism the Number One Human Problem?